The returning officer for the election is the Vice Chancellor of the Federal University of Technology Akure (FUTA). Following hours of result collation, the announcement of the final results of the Osun state gubernatorial election is underway at the Independent National Electoral Commission (INEC) headquarters in Akure. 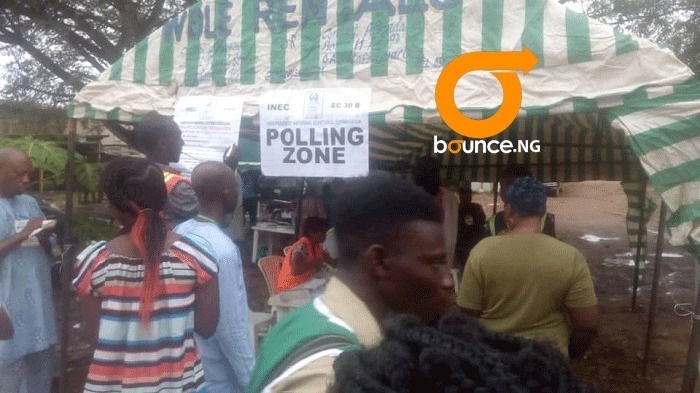 The elections had been largely peaceful with European Union (EU) officials who were sighted at Osun, and who spoke to Bounce News describing the elections as orderly. Joe Odumakin who also spoke to Bounce News described the elections as commendable but not perfect. The run up to the elections saw the emergence of 3 major candidates - Iyiola Omisore, a former deputy governor of the state representing the Social Democratic Party, SDP; Gboyega Oyetola, a former chief of staff to the incumbent governor, contesting under the ruling All Progressives Congress (APC) and Isiaka Adeleke, a senator seeking to become governor under the People’s Democratic Party (PDP). Meanwhile following the announcement of results from all the 30 local government areas of Osun state, PDP collation officer, Dele Adeleke has raised an issue with the results from the Olorunda LGA. According to Adeleke, an additional 2,000 votes were added to APC's votes. The state's collation officer has therefore ordered a recount.